General Papers | Standards | Cog.Vision/Psy./Neuro. Here are some excellent papers that every researcher in this area should read. They present a logical introductory material into the field and describe latest achievements as well as currently unsolved issues of face recognition. This standard specifies definitions of photographic (environment, subject pose, focus, etc.) properties, digital image attributes and a face interchange format for relevant applications, including human examination and computer automated face recognition. ISO/IEC 19794-5:2005 specifies scene, photographic, digitization and format requirements for images of faces to be used in the context of both human verification and computer automated recognition. The approach to specifying scene and photographic requirements in this format is to carefully describe constraints on how a photograph should appear rather than to dictate how the photograph should be taken. The format is designed to allow for the specification of visible information discernable by an observer pertaining to the face, such as gender, pose and eye colour. The digital image format can be either ISO standard JPEG or JPEG2000. Finally, the 'best practice' appendices provide guidance on photo capture for travel documents and face recognition performance versus digital compression. - is face recognition a dedicated process? - is face perception the result of holistic or feature analysis? We would like to encourage this kind of interdisciplinary approach. Here are some recent papers linking two areas and some psychology- and neuroscience-based face recognition papers. Here you can find papers on face recognition that have more than 500 citations based on the SCOPUS or WoS databases. 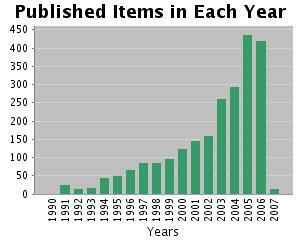 The below documents are sorted based on the number of citations according to SCOPUS database. 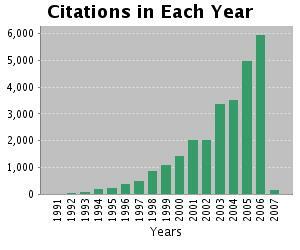 Number of citations according to Google Scholar database are presented for completeness only. More information about the search conditions that were used to generate the results are presented below. Disclaimer: The choice of the data sources reflects personal opinion of the Face Recognition Homepage administrators. Ranking used here should be treated as a guide-to-the-eye only. No comparison of the scientific merit of the included papers was intended. SCOPUS (http://www.scopus.com/), © Elsevier B.V.
Topic: "face recognition" OR "facial recognition"